An all-terrain vehicle of the BME took part in the exhibition The Big 5 in the UAE. Designed for agricultural, road construction and public works. Compact and manoeuvrable machine, capable of performing work in a limited space. trucks of various configurations. Production capacities of the plant are designed to produce up to 3000 cars per year. 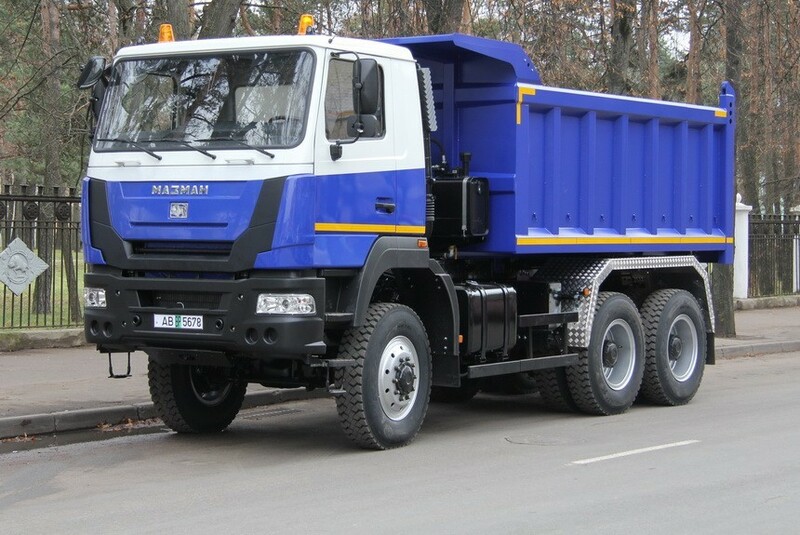 The main emphasis is made on the trouble-free operation of cars, therefore all MAZ-MAN models are equipped with reliable and economical German MAN engines and other high-quality components from leading European manufacturers. On the production floor there are modern workshops, a conveyor, storage facilities, a storage area for finished equipment, and an office building. At the enterprise currently employs 300 people. JV CJSC "MAZ-MAN" starts selling parts at discount prices! Watch the new video-the work of the 6x6 four-wheel drive dump truck in the career. Did you know that in addition to trucks MAZ-MAN produces front-end loaders? To find your nearest service center MAZ-MAN!